I have always wanted to be a writer, and over the last year I have finally earned that title. Being a writer means that you have to constantly put yourself out there, constantly produce new content, and constantly subject yourself to rejection. There are not many of us who are lucky enough to have millions of our own followers that will happily come to us and read our work on our own blog. This means that we need to submit our work to other outlets where, often times, it will get rejected. So how do you motivate yourself to write quality pieces and submit them to other outlets? Regardless of who rejects your piece, it is not wasted time and effort. Pieces shouldn’t live on your computer. If you wrote it to share with the world, you can find a home for it some way or another. 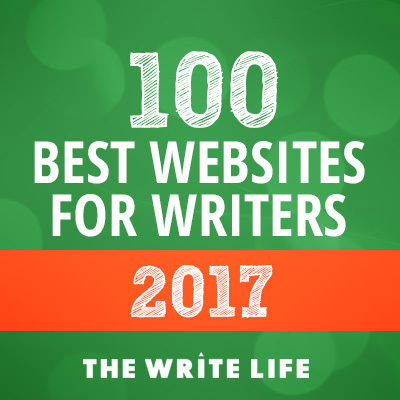 If an anthology rejects your submission, submit it to a website (or 10). If The Huffington Post doesn’t run your piece, post it on your own blog. If you have a great evergreen post on your blog, continue to share it. The point is that each piece doesn’t have to have a short life. I know how frustrating it can be to have to constantly generate new content (just for it to be skimmed by a few readers), but you can really make your content work for you in multiple capacities and outlets. I wrote a piece that I submitted for an anthology. They rejected it. I submitted that same piece to Scary Mommy. They rejected it. I submitted the same piece to The Huffington Post. They accepted it. I emailed the plain text version of this piece to hundreds of regional magazines to sell as a reprint. Two are interested. I plan to share this same piece from time to time because it is evergreen and doesn’t live in my archives for all of eternity. It took minimal effort to shop this piece around – just a few emails – so it was very much worth my time! I don’t have a lot of quiet time to write because of my two little boys (ages 2 and 4), which means that I have to be efficient and get the most out of all of my writing. It works very well for me to write quality pieces that can be used in a variety of outlets. I am careful to keep my voice consistent so that anything I write for someone else can also be shared on my own blog. You can see on MomShar.com that many of my blog posts are actually preview posts linking to other sites where I have been a guest blogger. This allows me to get my writing in front of new readers, make new connections, and share my point of view, all without neglecting my own blog. There are endless reasons that your writing could be rejected by a particular outlet. It doesn’t mean that it is not valuable writing. I encourage you to keep writing and submitting with the idea that you WILL find a place for each and every piece. Once you start doing that, rejections will become a lot less painful, and you will become more motivated to take those leaps abd continue to submit. Shari is a writer juggling all of the different aspects of being a freelancer. She has written for The Huffington Post, NickMom, and Scary Mommy; but she blogs most regularly at MomShar.com. Shari also works with individuals and businesses through blog consulting and freelance copywriting. She lives in Lancaster County, PA (no… she’s not Amish) and loves that her career revolves around her family – a supportive husband and two busy, little boys.